I introduced my newest knitting mascot — Pablo while working on a basic cowl. I need to add some single crochet to the edges to finish this baby. I’ll do that while I’m home this week! 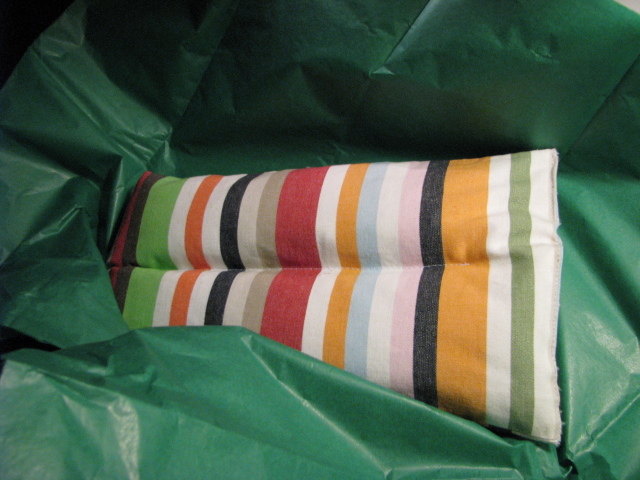 and I even cranked up my sewing machine to make a rice heat pack as a swap gift (which incidentally is the last installment in my craft book challenge this year). Not too shabby but I know with some better time management I could have done more. Now that I’ve cranked up the sewing machine, I want to do more stitching. God help me. I don’t need another rabbit hole to fall down. Complete at least 20 projects / 14 new techniques via knitting and crochet. These techniques include thrumming, colourwork (fair isle and intarsia), conquering knitting in the round with dpns and magic loop, cables (don’t find them hard just never completed a project with cables), lace, garment construction. 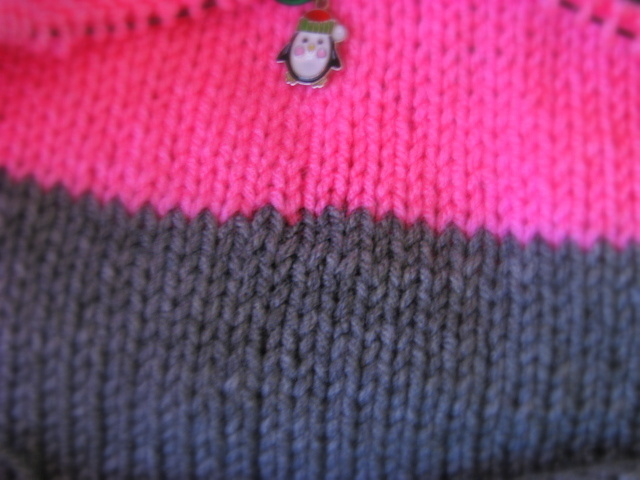 Include in the 20 projects at least 2 sweaters, 2 shawlettes, 2 pairs of socks and a blanket or two. Spin at least 10 braids of roving in 2014. Practice some monogamous crafting instead of starting all the thingz! Stop saving free patterns on Ravelry. I’ll never be able to make all the thingz; I need to focus on the wonderful patterns I have already in my library. Schedule crafting days and stick to said schedule. Poor time management stopped me from crafting as much as I could have in 2013. It’s an ambitious list, especially given the fact that my commute takes up four hours of my day and work renders me useless once I leave the office most days. But I have to intentionally do the things that benefit me and make me feel good and crafting does that. Think I’m crazy? That’s okay! Just hold this list over my head when I start whining about. how tired and frustrated I am! Seriously … I’d love you forever if you don’t let me slack off. 😀 It’s high time for me to move from newbie status to intermediate — for crochet, knitting and general crafting. And the only way I can do that is to craft, craft, craft!!!! What are your crafty resolution for the upcoming year?